Welcome to And finally, our weekly dose of the less credible and, let's face it, less interesting stories of the week. It's the place we mop up the dredges of wearable tech news and present them to you in one big, easy to handle, measure. Apple is breaking records all over the shop with the hugely successful (in terms of smartwatch sales figures, at least) Apple Watch - so why wouldn't the Cupertino giant want a bigger slice of the wearable pie? 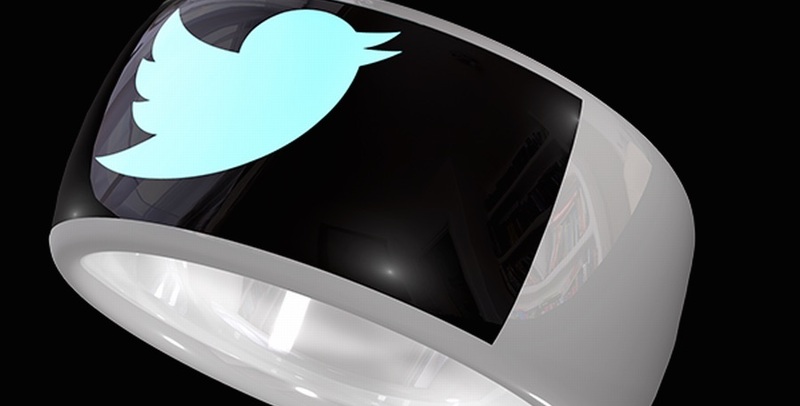 According to a patent recently uncovered, Apple could be working on a smart ring, and bringing connectivity to fanboy's digits. "A need exists for a more discreet, safer, more efficient, or more ergonomic way to interact with touch pads or touch screens," reads the patent. If it comes to fruition it will take on the likes of the NFC Ring 2 and the Kerv ring. Tado, the German Nest alternative, has raised $17.1 million in a new round of funding. According to Venture Beat, "Some notable names participated in the round, including Siemens' venture capital unit and Statkraft Ventures, the investment arm of one of Europe's biggest renewable energy companies." Tado is a remote autopilot for your heating system, using an app to work out where you are and adjusting the temperature of your home accordingly. Unlike Nest, it runs on batteries, so you can place it pretty much anywhere. Check out our roundup of the best smart thermostat and heating systems for your home. Creepy/ hilarious wearable of the week goes to Touchy, which was on show at CEATEC in Japan. Touchy is a head-mounted camera that takes pictures when you hold hands with people. Engadget has the lowdown… "This is the work of Hong Kong artist Eric Siu, who created Touchy in 2012 as a way to heal social anxiety, though we can't say we were entirely convinced when Siu approached us at CEATEC." We all knew that Facebook Messenger for Apple Watch was coming – after all, it was shown off at last month's big iPhone/iPad event in San Francisco. The new app adds instant messaging, voice memos, stickers and likes to your Apple wearable. Take a look at our pick of the best Apple Watch apps. Things have really heated up since native apps arrived with watchOS 2. Jawbone CEO Hosain Rahman was speaking at the Code/Mobile conference this week and he hinted that the fitness tracker giant could soon be moving into the crazy world of implantables. Kind of. Sort of. Check out the video above to see exactly what he said. Check out our in-depth wearable tech news hub for all the top stories.